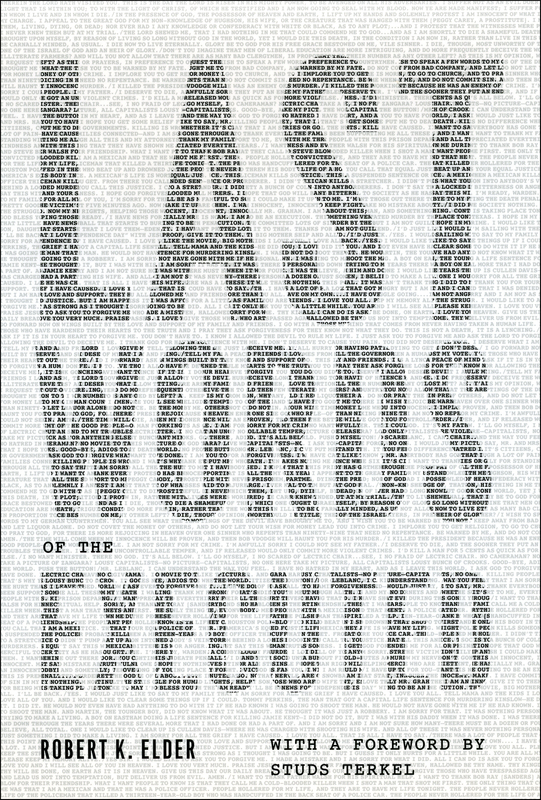 This week’s edition of the Chronicle of Higher Education reviews Robert K. Elder’s Last Words of the Executed—an oral history of American capital punishment, as heard from the gallows, the chair, and the gurney. The Chronicle‘s Kacie Glenn begins her article: In Last Words of the Executed, Robert K. Elder presents a collection of final statements delivered by people about to be put to death in America, from the prisoners in Salem, Mass., who were hung in 1692 for practicing witchcraft, to modern serial killers like John Wayne Gacy and Aileen Wuornos. Elder, an adjunct lecturer in journalism at Northwestern University, searched newspapers, prison archives, and other sources. He refrains from advocating for or against capital punishment, instead noting patterns and shifts in the tenor of prisoners’ last words. For example, when executions stopped being held before large crowds, prisoners became less likely to orate and more likely to speak directly to victims’ families. Continue reading at the Chronicle website. . . .
Humboldt who? That’s usually the reaction from modern readers when introduced to the father of geography, Alexander von Humboldt. He was admired by Darwin and Jefferson, yet Humboldt is less well-known than the men he inspired. So why is it important to keep his legacy alive? And what does this nineteenth-century German-born naturalist have to offer science and the humanities in the twenty-first century anyway? A lot. At least that’s what the University of Chicago Press thinks, and we’ve begun publishing books that translate his writing and contextualize his explorations. Last year, the Press published The Passage to Cosmos: Alexander von Humboldt and the Shaping of America, Laura Dassow Walls’s reintroduction of this seminal thinker to new audiences. 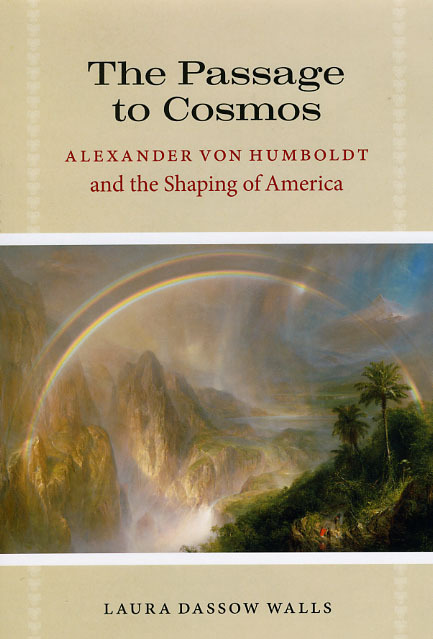 Her book traces Humboldt’s ideas for Cosmos —the book that crowned his career—to his 1799 journey to the Americas, where he first experienced the diversity of nature and of the world’s peoples—and envisioned a new cosmopolitanism that would link ideas, disciplines, and nations into a global web of knowledge and cultures. Walls recently spoke about Humboldt and her book at the Virginia Festival of the Book, and Book TV was there to film the presentation. After you watch her speech here, be . . . The subway blasts that killed dozens of people in central Moscow this morning, carried out by insurgents from southern Russia’s Caucasus region, have brought the long conflict between Chechen nationalists and Russia back to the forefront of the global consciousness. Though the brutal conflict over control of the Caucasus—far to the southwest of the Russian capital—has continued to quietly rage since Russia gained control over the region in 2000, the often repressive political atmosphere of post cold-war Russia, and the desire to suppress the many accusations of human rights abuses leveled against both sides, has helped to keep many of the details of the conflict from public scrutiny, especially in the west. 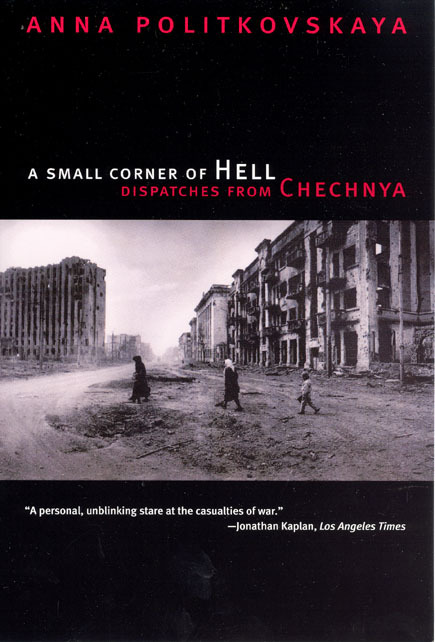 The following are a few titles from the press that attempt to rectify that situation: Before her mysterious assassination in 2006, Anna Politkovskaya, a correspondent for the liberal Moscow newspaper Novaya gazeta, was the only journalist to have constant access to the region, and in her book A Small Corner of Hell: Dispatches from Chechnya she offers a rare insider’s view of life in Chechnya, centered on stories of those caught—literally—in the crossfire of the conflict. Her book recounts the horrors of living in the midst of the . 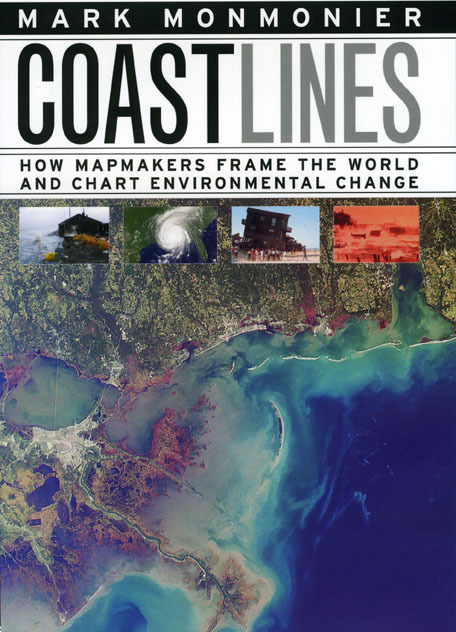 . .
Last weekend’s New York Times magazine featured a fascinating article about the clash among property lines, public land, and the tides of the Gulf in the coastal community of Destin, Florida. The article raises some important questions. Who owns the beach? Does private property trump public good? And what happens when Mother Nature washes away property lines? In the piece, titled “A Stake in the Sand,” author Andrew Rice chronicles the legal battle seaside homeowner launched against the state of Florida; rather than pump in new sand to replenish the eroded beach, the home owners preferred to allow natural erosion to runs it course and, in so doing, keep their beachfront off limits to the tanning masses. As Rice writes: This “nourishment” program, which involves an expensive process of dredging and pumping submerged sand back onto beaches, has been around for four decades and is one of Florida’s more popular public initiatives, a lifeline for many communities in a tourism-dependent state. So it came as a great surprise when, in Destin, the prospect of restoring the shore ran into fierce opposition. The battle over the beach, featuring charges of extremism, selfishness and dirty dealing, started as a typical squabble at . . . Most of the books in The Other Voice in Early Modern Europe—a series from the Press that explores the role of women in early modern European culture—don’t usually receive a whole lot of attention from non-academic reviewers. So it seems reasonable to take a minute to note when they do. 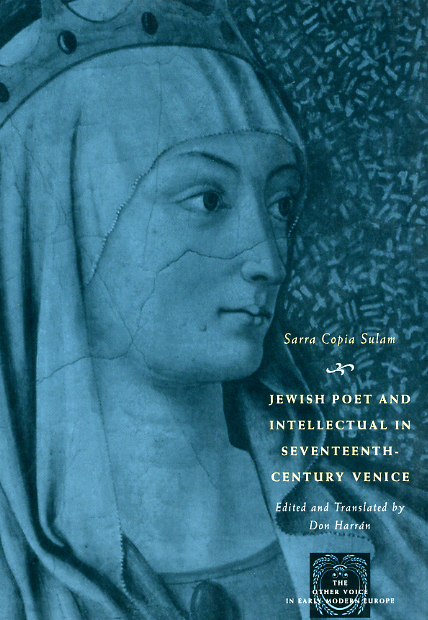 Benjamin Ivry has recently written a blog post about Don Harrán’s translation of the poetry and prose of Sarra Copia Sulam in Jewish Poet and Intellectual in Seventeenth-Century Venice for the Forward magazine blog, The Arty Semite. In his post, Ivry frames the 17th C. Italian-Jewish luminary as the “Susan Sontag of the Venetian Ghetto,” and cites her unique ability to overcome the dual obstacles of her gender, and her religion, to produce the body of work that established her as the first Italian-Jewish public literary figure in Europe. Check it out online at The Arty Semite blog then take a look at some of the other titles in our OVIEME series featuring the fascinating poetry and prose of some of the best, though, less well known female voices of the early modern period. . . .
Bruce Smith, author of several books of poems including Songs for Two Voices, The Other Lover, and Mercy Seat, was recently awarded a 2010 Academy Award in literature from the American Academy of Arts and Letters. The award, which not only offers its recipients formal recognition by one of the foremost arts institutions in the country, but a cash prize as well, will be presented in New York in May at the Academy’s annual Ceremonial. Read the press release at the Academy of Arts and Letters website. More about Smith’s poetry from his bio at The Poetry Foundation website: Influenced by Walt Whitman and Emily Dickinson, Smith’s poetry moves like jazz, incorporating images and narratives into a startling, musically unified whole. In a 2007 interview, Smith explained his poetry’s aspiration to song: “When the language works to seduce and … move us, when it works its blues on us, bounces us and trembles us, makes us swerve from our upright and rational propositions … we are thinking and listening at the same time or really listening and not thinking, like a good song does.” Follow the links for more on Smith’s works from the University of Chicago Press: Songs for . . . Fans of Donald E. Westlake were saddened by his sudden death on New Year’s Eve of 2008. But luckily, the beloved author—who over the course of his fifty-year career published more than a hundred books, many under sundry pseudonyms—has continued to be prolific, even in death. 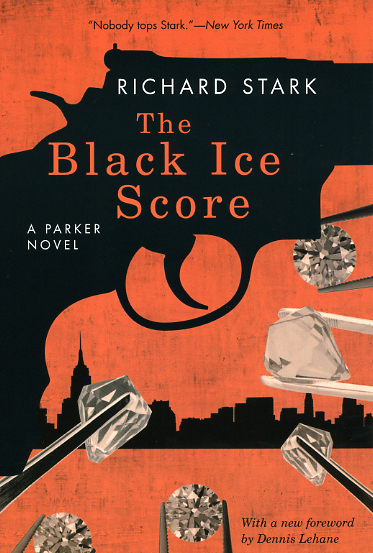 In September 2008, the University of Chicago Press began reissuing Westlake’s Parker novels (which he wrote under the alias Richard Stark). So far, we’ve published an even dozen, and the next three books in the series—The Green Eagle Score, The Black Ice Score, and The Sour Lemon Score—will be showing up in stores any day now. In order to celebrate the books, our resident Westlake scholar Levi Stahl talked with Charles Ardai, editor of Hard Case Crime, the publisher of a newly discovered Westlake novel from the early 1960s, Memory, out this month. Ardai will also contribute forewords to our next set of Parker reissues—Deadly Edge, Slayground, and Plunder Squad —due out this fall. Fans of crime novels have a lot of reasons to be grateful to Charles Ardai: as a writer, he’s produced a couple of top-notch hardboiled novels, and as a cofounder of Hard Case Crime, he’s shepherded new voices into print . . .
NPR’s Morning Edition recently aired an interesting piece that investigates the next big trend amongst evolutionary scientists to explore how climate change has effected human evolution—a project recently endorsed by a panel of experts from National Academy of Sciences in Washington, D.C. In the piece reporter Christopher Joyce talks with several experts on the subject including Smithsonian Anthropologist Rick Potts, curator of a recent exhibit titled “What Does It Mean to Be Human?” The exhibit offers climate change as perhaps the most important factor influencing evolution, especially the evolution of the genus homo over the last 2.5 million years or so. Anticipating this trend in the evolutionary sciences by nearly a decade, William H. Calvin’s 2002 A Brain for All Seasons: Human Evolution and Abrupt Climate Change offers one of the most thorough explorations of the topic, taking readers around the globe and back in time to demonstrate how climatic cycles of cool, crash, and burn, provided the impetus for enormous increases in the intelligence and complexity of human beings. And with the recent warnings of more climatic catastrophe to come, Calvin’s book not only offers a look at our evolutionary past, but perhaps at our future as well. Navigate . . .
On Sunday, the New York Times Magazine featured haunting photographs of the bedrooms young American soldiers killed in the wars in Afghanistan and Iraq. 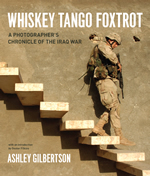 The moving images, shot in stark black and white, represent a departure for the photographer Ashley Gilbertson, who is known for his striking combat imagery. On the Lens blog of Times, Miki Meek writes: Although his coverage of Iraq has won awards, including the Robert Capa Gold Medal from the Overseas Press Club of America in 2004, Mr. Gilbertson, 32, said he has stopped photographing combat zones because the American public isn’t responding anymore. Now concentrating on showing the aftereffects of war, including post-traumatic stress disorder, Mr. Gilbertson looks at bedrooms as a way of memorializing the lives—rather than the deaths—of young combatants. “It’s powerful to look at where these kids lived, to see who they were as living, breathing human beings,” Mr. Gilbertson said. “Their bedrooms were the one place in the house where they could express themselves with all the things they loved.” Indeed, these photographs affect the viewer differently than war images do: the absence and loss is palpable here. The holes left by the deceased soldiers are visible. In Gilbertson’s move away . . . The NYT‘s Paper Cuts blog has posted a link to Brainiac blogger Christopher Shea’s fashionable find of these purses, made from the covers of used hard-bound books—the best of which, as Shea points out, exploits a clever riff on the double meaning of style. 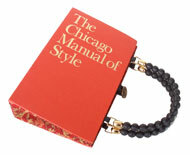 Even at an asking price of $150 it appears that the Manual of Style purses are currently sold out. But, not to worry, we’ll send someone from our warehouse on down to Hobby Lobby later this afternoon for a glue gun and some beads. . . .